When I find myself too many days in a row trying to fit as much as I can into a single day my family life starts to suffer and I start to suffer. 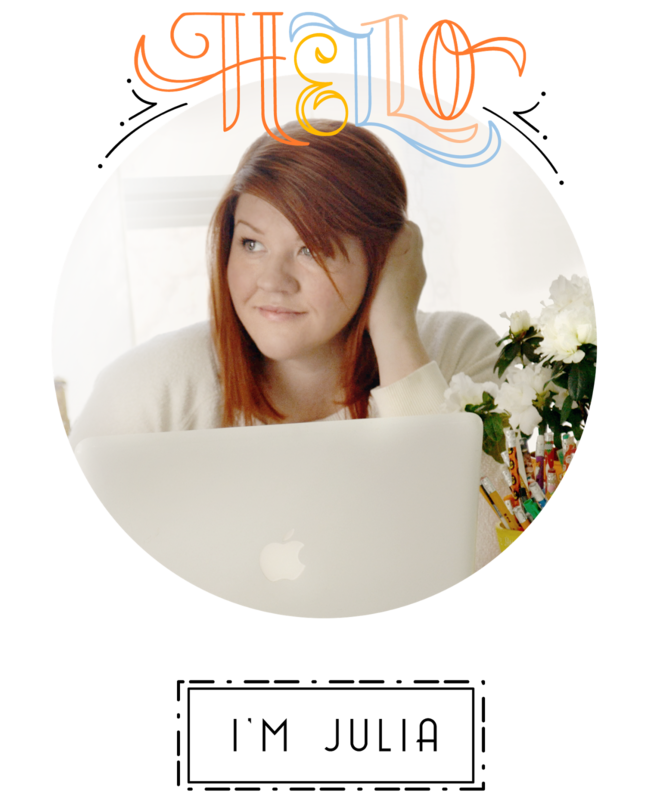 It starts out as one really good motivating day where I fit in a little blogging, a little laundry, a little dinner, and little craft project all while keeping the children clean, fed, loved, and entertained. And I love that day! That day rocked! Then I try to do it again and again and again. This seems like the perfect balanced day for me right? Well sort of. The thing is something happens by day three and even day two. It starts going down hill. I keep trying to fit all these great things into the day to achieve that moment of accomplishment, balance and satisfaction but it is getting harder and harder to obtain even though I am putting in more effort each day. The problem is I didn't factor in time off. Sure I tried to put a little me time in each day or do mini breaks throughout the day but what I was forgetting is taking large amounts of time off. Just like any job you need a weekend off. In mommy hood that is almost impossible so to recharge I have to remember to to plan at least one lazy day a week. The goal is enjoying my life, myself, and my family. On lazy day its all about "what can I get away with not doing" and "how can I bring more joy, calm and relaxation into today?" There is usually a Disney movie, take out, scented candles, and a dance party involved. For some women taking a Lazy day sounds scary like the whole house is going to fall apart and what would happen if I put off this project for just one more day. But we need to remember that we are just human and we all need rest. I try to think of it as my rest day. Where I rest from all the ambitious things of the world and reconnect with the real substance of my life. 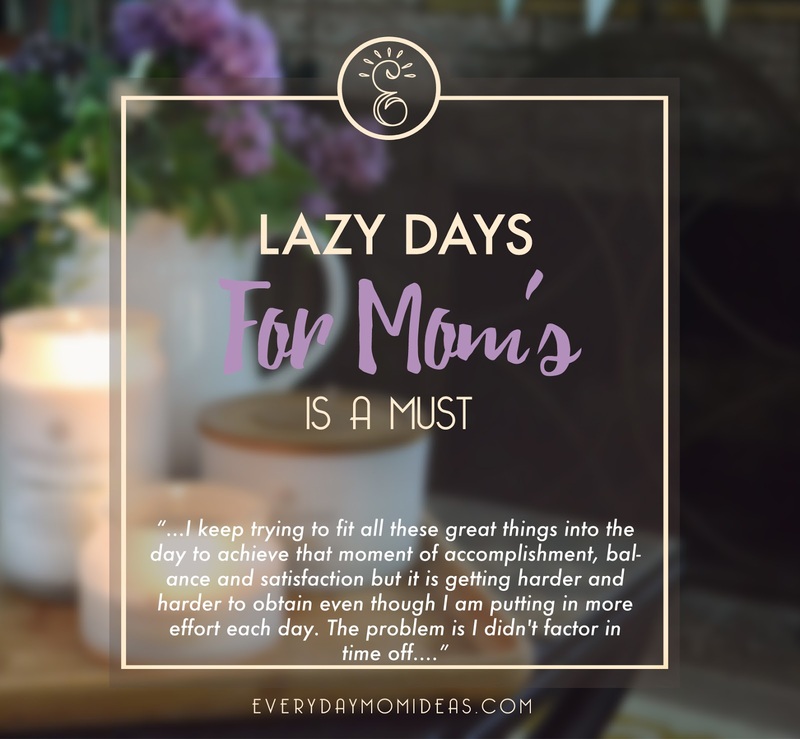 I have four kids two tween boys and two little girls that are two and nine months old and they love moms lazy day. I can see how much it recharges them too. They love that I am down on the floor with them giving lots of snuggles as we watch an old kid movie from my childhood, or painting nails and having snacks with our matching messy buns. Mommy yells less on lazy day... so everyone wins. 1. Turn off your cell phone. Take a break from that thing as well, its makes all the difference. 2. Play your favorite music. Dance party! 3. Put blankets all over your floor to lounge on and maybe even picnic. 4. 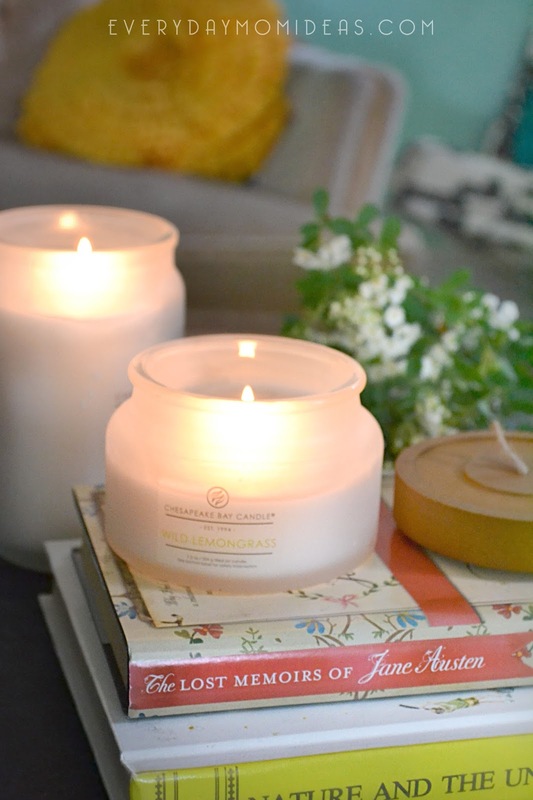 Light a fire or burn your favorite scented candles to set a calming mood. 5. Do one thing to pamper yourself. Nails, face-mask, foot soak, download an app, listen to a great podcast, write in your journal, have a cup of tea, do some stretches, or buy yourself some flowers. 7. Get delivery. Its magic. Im really excited to partner up with Chesapeake Bay Candle to talk about the importance of women and mothers needing to take a lazy day. We moms are so hard on ourselves and are bogged down with the pressures of motherhood and we need to remember to set aside time regularly to rest and recharge or we won't be able to give our precious family the healthy mom they need. Chesapeake Bay Candle uses essential oils and a natural soy wax blend to create home fragrance products that are designed and poured right here in the USA. 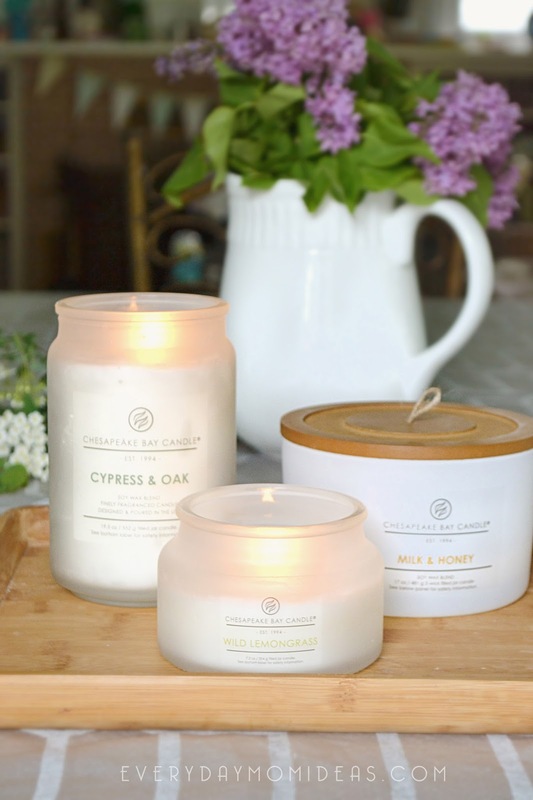 Their candles are inspired by the healthy living lifestyle trends that promote wellness for the mind and body. I personally couldn't wait to open The Heritage Candle Collection once it came in the mail. 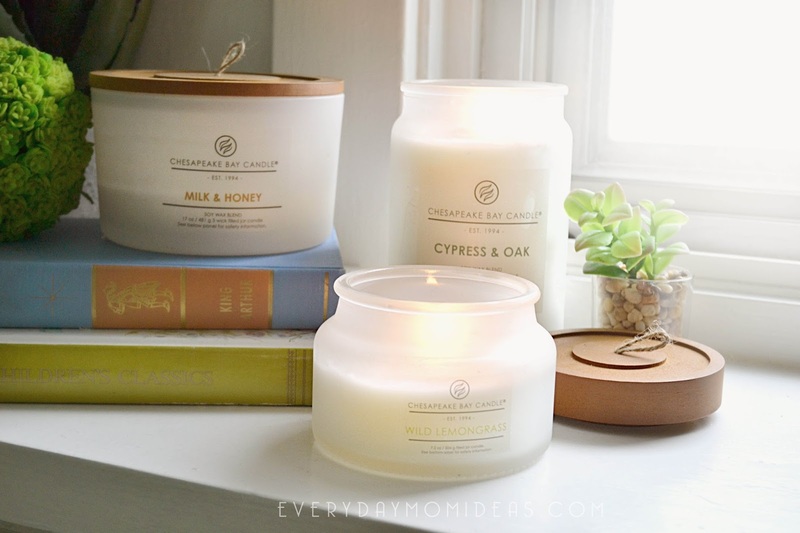 I love how soft and organic the candles look with the frosted glass and natural wooden lids. It just felt like luxury and simplicity all in one. 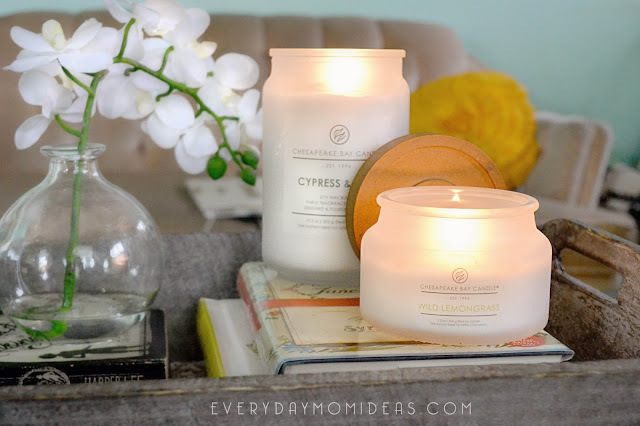 The Heritage Candle Collection Line was specifically inspired by the Maryland bay area with its rustic charm and refreshing scents like Wild Lemongrass and Cypress and Oak. These scents added a natural soothing effect to my home. 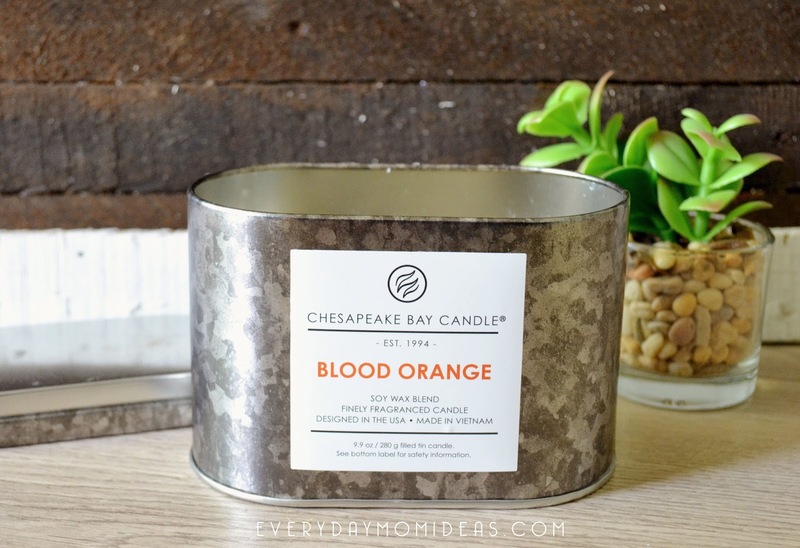 Its amazing how simple something like burning the Blood Orange Double Wick Tin Candle on a rainy day can add a little more sunshine to it. The little things can be so powerful. 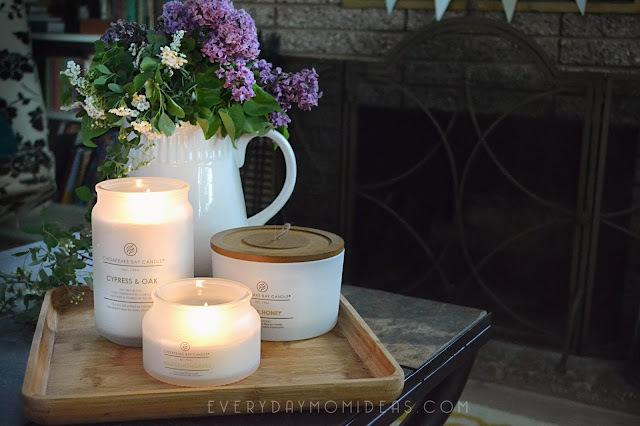 My favorite candle from the Heritage collection has got to be the Milk & Honey Coffee Table Jar Candle. It has such a warm dreamy scent to it that fills the room up with fragrances of sweet honey, milky almonds, white freesia, bergamot, vanilla, acacia, and rice flower. This three wicked candle makes for a fast acting fragrance release perfect for when guest show up unexpectedly or when you need some aroma therapy defused quickly. I love having this set sitting on my coffee table even if they are not in use or lit up. They are so beautiful just to look at. These Candles are not just your ordinary scented candles. There is a lot of craftsmanship and thought put into each one of them. They just feel special. These would make a great gift to any of the women in your life or even just treat yourself. This would also be the perfect Mother's day gift because mothers need to invite as much calm and relaxation in their lives as possible. "Stop Trying To Calm The Storm.